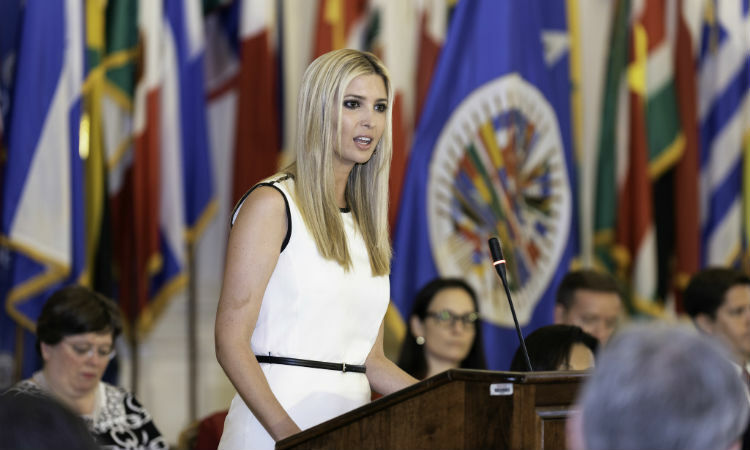 WASHINGTON – White House Advisor Ivanka Trump addressed the Inter-American Council for Integral Development of the Organization of American States on sustainable financial empowerment in the Americas Monday afternoon. “Women are in fact one of the greatest under-tapped resources for accelerating global economic growth,” she told the forum. Trump advocated action on three major areas: advancing workforce training to equip women with proper job skills; grooming more female entrepreneurs by assisting them with greater access to capital; and eliminating legal and cultural barriers that bar them from job opportunities. In the trip to Peru April this year, she and Overseas Private Investment Corporation CEO Ray Washburne announced the “2X Americas” initiative. “Since the launch, we have committed more than $195 million to empower women entrepreneurs across Latin America and the Caribbean,” she said. “OPIC also recognizes that investing in women is one of the ways the agency can extend its impact and bring about positive change in the world,” said Washburne, who also addressed the OAS Council. The “2X Initiative,” which is the single largest financial commitment the U.S. has made to Global women’s empowerment, he said, aims to mobilize $1 billion private investment in women of the Americas to enhance their economic opportunities.